Ein Bustan is building bridges between Jewish and Arab children through an educational approach that addresses their academic, physiological, and psychological needs, so that together these children may develop into a new generation of individuals that can thrive together in peace. This is achieved through their participation in bi- lingual Hebrew-Arabic education that employs the Waldorf educational approach. Waldorf education was developed with the aim of healing traumatized children in post World War I Europe. The approach is designed to encourage creativity and imagination in a stress free, cooperative environment that adapts the curriculum to the developmental stage of the child. We have found that Waldorf education, which places importance on the learning of several languages and on our common humanity, and which employs music, art and movement, serves as a natural bridge between cultures. Waldorf education has been successfully implemented in other bi-lingual and multi-cultural settings throughout the world, and is used in classrooms from London to Nepal and from Los Angeles to Tel-Aviv. There are nearly one thousand independent Waldorf schools in 60 countries around the world. The popularity of the Waldorf educational approach among the Jewish population in Israel has steadily increased since 1989, and today there are more than 4,000 children in 16 Waldorf schools throughout Israel. 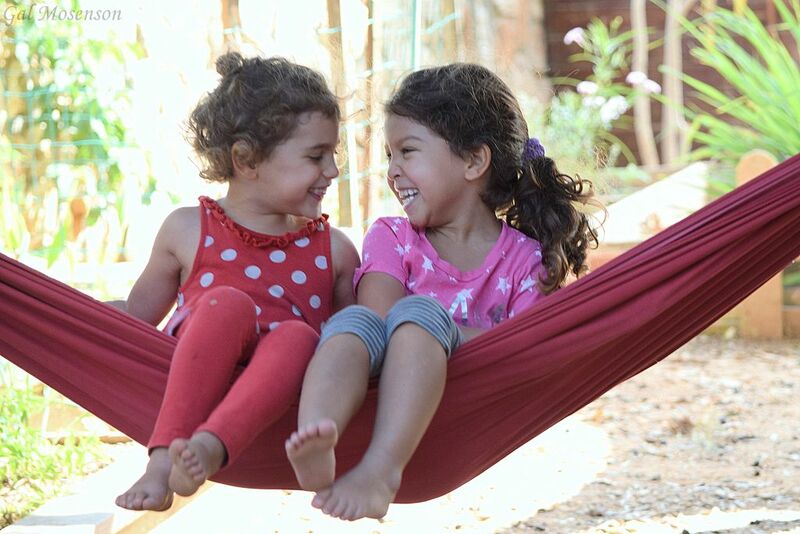 Arab communities in Israel have also welcomed Waldorf education, and therefore we regard this educational approach as an ideal bridge serving to foster long-lasting cross-cultural relationships based on mutual friendship and respect. Ein Bustan, which is situated in the lower Galilee amidst both Arab and Jewish communities, prides itself on its outreach to a broad and diverse cross-section of Israeli society. Ein Bustan children are Jewish and Arab children from families of different religions and socio-economic backgrounds. The Muslim children are Bedouin Arabs from rural villages in our area. (The term “Bedouin” defines various groups of traditionally pastoral nomadic desert-dwelling Arabs, exclusively Muslims). The Bedouin are by far Israel’s most disadvantaged community in terms of per capita income, unemployment, poverty rate, education and public infrastructure. The Israeli Ministry of Education has recognized Ein Bustan’s proactive educational methods and achievements in promoting mutual understanding between Arab and Jews. Ein Bustan is formally licensed and receives partial funding from the Israeli Ministry of Education. Unfortunately, this funding has been inconsistent and sporadic and we are unable to rely solely on this source of income for our budget. All of the families in Ein Bustan pay tuition fees. For some families, it is difficult to pay the full amount, while others are unable to pay at all, and in this case, they need scholarship assistance. We have never turned a child away for financial reasons at Ein Bustan, therefore it is important for us to raise funds to provide scholarships for needy students. Currently we have 16 Arab and Jewish children in need of scholarship assistance. Any assistance large or modest is welcome! A sponsor can pay the full amount of the required parental contribution for a child or part of it. The money will be paid directly to Maayan Babustan, which is a registered and licensed NGO. The parents are informed of this. It is up to the sponsor to decide the period of sponsorship, but we encourage scholarship for the duration of the school year, and the scholarship is extendable on a yearly basis. Once sponsorship is established, the sponsor will receive information about the child, with a regular update, along with a photograph (more information is given in the sponsor package). Becoming a sponsor is straightforward. You just fill in a sponsorship form indicating your contact details, and if you wish to undertake a (full or partial) scholarship for a child, or a one-time contribution. We are happy to answer any questions you may have, and hope you will join us in our efforts in building bridges of peace and understanding in the Middle East through supporting education at Ein Bustan.